Lead Joint Repair Collars - CASCADE PLC - The new home of Cascade Clamps UK Ltd, Suppliers and Manufacturers of pipe fittings to the water & gas industry. 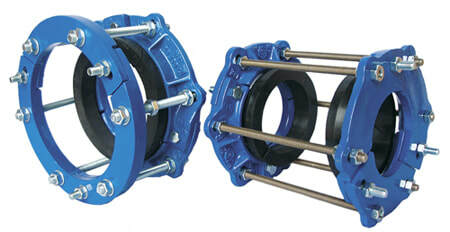 Cascade Lead joint repair collars, or Socket and Spigot clamps for use on failing/leaking socket joints. Cascade carry large stocks of repair collars for use on Cast Iron and Ductile pipes. Please see our downloadable data sheet below for more information. A Cascade lead joint repair collar installed successfully. Please view our short video on an install of our lead joint repair collar.